The weather has been pretty much as expected so far this winter. Wet and cold with occasional dips below 0℃. It's also dark whilst driving in the morning and evening. In other words for the vast majority of the time we are driving in the opposite of good conditions. The roads are slippery, visibility is terrible and when the sun does come out it either shines right into your eyes, reflecting off the road for good measure, or beams through some trees and gives you a dose of strobe to try and bring out your inner epilepsy. I've spent the winter in a succession of press cars, mostly powerful, mostly large and mostly full of safety kit. None of them has made me feel especially secure whilst driving along the twisting Berkshire lanes that makes up most of my local driving. Big tyres, big brakes, much power, great headlights, many cameras, traction control, stiff suspension, ABS, stability control, blind spot indicators, emergency braking - none of it counts for anything when it's dark and wet. The problem with anything larger than a Golf is that the basic communication the driver has with the road, conducted via the medium of the vehicle, is muffled and isolated the bigger the car gets - no matter how well it is reputed to handle. It doesn't matter if that car has been certified safe by any number of official bodies. Safety tests record what happens in the event of an incident. I want a car that stops me from getting into the incident in the first place. And the best car for that is low, light, narrow and really very easy to drive, place on the road, control and generally communicate with and help you understand what is going on, under and around you. 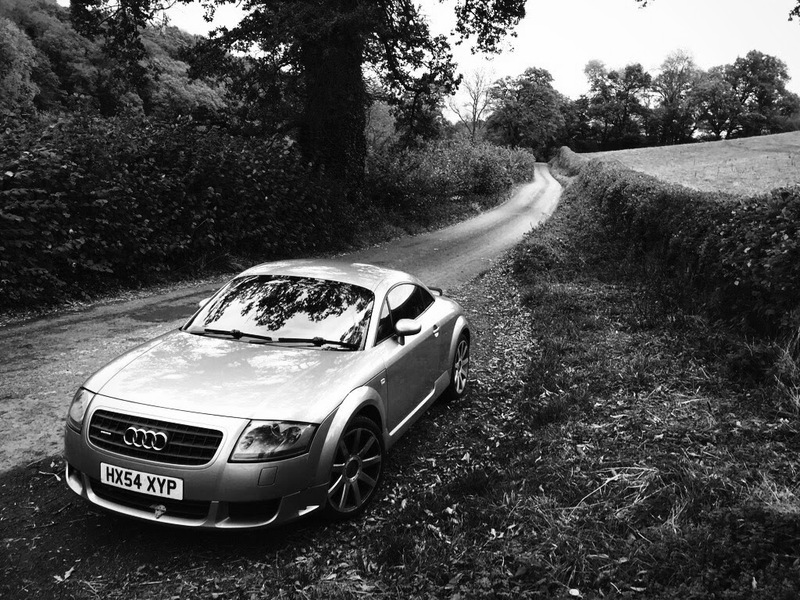 Regular readers will know my car is a 2005 Audi TT V6. I drove it for the first time in ages last weekend and was inundated with sensations of fluidity, communication and control. The Mk1 TT has a lousy reputation amongst enthusiasts as having poor steering feel and handling. This might be true compared to a Boxster or MX5 but the TT has an ace up its sleeve. It is four wheel drive. Driving the TT after driving a modern saloon, estate or SUV (or a rear wheel drive sports car) that's festooned with safety tech is a night and day experience. Whilst the newer cars use their technology to help the driver the 10 year old TT's simplicity, design and construction make it a far surer car in horrible wintry conditions. Its narrowness helps when it comes to judging where its extremities are - which means you can drive past a car coming the other way without having to stop. Its short wheelbase means you can steer it neatly round tight corners. Its four wheel drive means you can plant your foot and, unless the road is actually frozen, it'll pull away straight and true. It's slick manual gearbox and naturally aspirated V6 engine mean you can deliver power smoothly in the slipperiest of conditions. Its steering, which is better than it is given credit for, means you can feel the grip and drive accordingly. Its lowness means you are nearer the road and are better placed to observe the conditions around you, and makes you feel like you sit between the wheels, rather than above them. And its simplicity and overall fluidity means you can use its many benefits to drive at much faster speeds than larger cars with twice as much power can in our horrible British winter. So that's why a sports car is the best car in winter. Just not any sports car. An Audi TT. See?